See the Promotions Page for a list of Amazon.com Coupons and Sales. Please note that this page contains "action-packed" and "creative" computer software games. 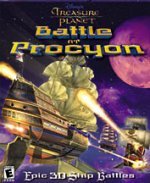 If you are looking for more "educational" Disney computer games on CD-ROM, go to the Disney Educational Software Page. Platform: Adventure through Radiator Springs with Lightning McQueen and your favorite movie characters. Complete a series of awesome challenges as you gear up for the big race! "Cars," the seventh animated feature film to be created by Pixar Animation Studios and released by Walt Disney Pictures, is directed by Pixar's two-time Academy Award-winner John Lasseter, who directed "Toy Story," "A Bug's Life," and "Toy Story 2." A high-octane adventure comedy, "Cars" features the voice talents of Owen Wilson, Paul Newman and Bonnie Hunt, and has a wide assortment of cars as characters who get their kicks on Route 66. "Cars" is produced by Darla K. Anderson (A Bug's Life, Monsters, Inc.). For more toys featuring Lightning McQueen, Tow Mater, and the rest of the gang from Radiator Springs, go to the Disney's Cars Page. 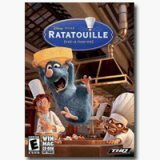 Platform: Ratatouille lets you relive the most thrilling and hilarious moments from the Disney/Pixar film. Become Remy, a young rat with dreams of becoming a great French chef -- despite the obvious problem of being a rat! From the underground sewers to the bustling streets of Paris, Remy will dash, glide and slide through six action-packed, visually stunning worlds filled with dangerous enemies, intense heists and perilous missions. Go head-to-head with your friends in multiplayer mini-games or navigate your way through a sensational rat race that turns the culinary world of Paris upside down! Relive the movie's most intense action scenes through the eyes of Remy and Emile. Over 20 challenging missions and mini-games. Explore six action-packed worlds. Go head-to-head with multiplayer games. Feature voice talent from the Disney/Pixar film. Platform: Created especially for kids 8-12, but enjoyed by all who are young at heart. 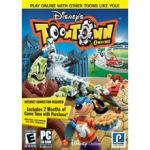 Players are Toons who join forces to save the world from Cog's, humorless business robots who are attempting to turn the colorful, happy world of Toontown into a dark metropolis of corporate monotony. Because Cogs can't take a joke, Toons use their favorite weapon-humor-to save their world. Guide Marlin, Dory, and Nemo through the ultimate underwater adventure. Meet all of the great characters from the Disney/Pixar movie, Finding Nemo, as you live all the excitement of the film's storyline. The search for Nemo is on, and it's up to you to find him. Dive in! Get ready to dive into fun! You'll splash your way through seven different games and meet all of the great characters from the newest Disney/Pixar movie in this wet and wild adventure as you help Nemo become a true Super Swimmer. Enjoy this collection of fun mini-games and activities for children of all ages, which captures all the excitement, humor, and unique graphical style of the film from Pixar Animation Studios. For more Finding Nemo games and accessories, go to the Finding Nemo Toys Page. Platform: The Incredibles video game features intense superhero action and adventure combined with the unique graphical style and humor of the next film from Pixar Animation Studios. The Incredibles, written and directed by Brad Bird (The Iron Giant, The Simpsons), tells the story of a family of undercover superheroes who are trying to live a quiet, suburban life, but are forced back into action in order to save the world. Platform: Disney's Cinderella's Dollhouse 2 is a follow-up to the popular first release, Cinderella's Dollhouse. In this product the player assists the Fairy Godmother in continuing to make Cinderella's dreams come true. The Fairy Godmother presides over Cinderella's world and with the use of her magic wand, the player can help decorate and prepare special castle events for Cinderella, which include a Mouse Tea Party, a Grand Royal Ball, and Cinderella's Outdoor Wedding. For more Disney Princess toys, go to the Disney Princess Toys, Games, and Dolls Page. Platform: The Disney Princess Colletion is a full set of great gaming for girls who love Disney films! 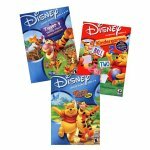 By Disney Interactive Winnie the Pooh Preschool Bundle includes Winnie the Pooh Kindergarten, Tigger's Activity Center, and Tigger's Honey Hunt 3D Adventure. In Winnie the Pooh Kindergarten, kindergartners join Pooh and friends in this wonderful learning adventure as they come together to hold school in the 100 Acre Wood. Experience the magic of learning as Pooh and his friends offer lessons on the alphabet, simple arithmetic, problem solving and much more! Disney's Tigger Activity Center offers kids the opportunity to spend their day playing in a variety of special places through the Hundred Acre Wood. The fun activities, combined with the charm of Tigger and friends, will create an interactive experience that kids will want to return to again and again! Disney's Tigger's Honey Hunt 3D Adventure, is a fun filled CD-ROM game starring our loveable hero, the Whoop-de-Dooper Loop-de-Looper Ali-Ooper Bouncin! Tigger! Join Tigger on his fun-filled mission to collect as many honey pots as he can for Winnie the Pooh's big party. Along the way, kids can collect pieces of photographs for Tigger to put in his photo album. Collecting all of the honey pots will scatter more photographs across the next game level. There are three different photographs per level - collect them all and you will complete the photo album for a special bonus! But beware - there are creepy trees, scary crows, steep slopes, strange woozles and other things to frighten Tigger along the way in this action-packed adventure! 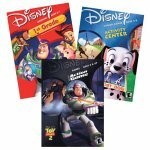 By Disney Interactive The Disney Bundle includes Disney's 102 Dalmations Activity Center, Disney/Pixar's Toy Story 2 Activity Center, and Buzz Lightyear 1st Grade. Disney's 102 Dalmatians Activity Center is a fun filled, puppy packed adventure for everyone, on CD-ROM. Pick out your own virtual pet, solve a Parisian mystery and free the puppies. Save them from being turned into pastries in the bakery, feed them before they destroy the kitchen and make a masterpiece in the puppy gallery. 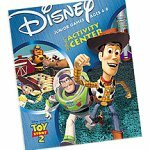 Disney/Pixar's Toy Story 2 Activity Center on CD-ROM blasts you off on a mission of Toy-rific Fun! Disney/Pixar's Toy Story 2 Activity Center comes to life with exciting arcade action, challenging strategy games and fun activities that take you 'to infinity and beyond!? It's endless fun with Buzz, Woody, and all of the Toys! Learn at Light Speed with Buzz Lightyear Learning Software especially designed for 1st Graders. Buzz Lightyear 1st Grade is an entertaining and comprehensive reward-based educational tool that helps children to learn key curriculum and practice their skills in multiple subjects all in fun, safe, and friendly environment of Andy's rooms with all the Toy Story characters! Platform: Get ready to catch big air and perform radical stunts just like the pros in Disney's Extremely Goofy Skateboarding. Shred with Goofy or his son Max in four wacky and gravity-defying worlds. Whether you're dropping into a half pipe, trick skating, goof skating, or performing 3-D skateboarding tricks, Disney's Extremely Goofy Skateboarding has got you covered. Learn cool tricks from Max and Goofy as they teach you each move with outrageous audio and visual demonstrations. Then start skating through four unique worlds: the beach, the city, the desert, and Goofy's neighborhood. Switch into trick-based mode to complete certain goals in one area to progress to the next. Or drop into a half pipe and compete against your friends in a turn-based competition. Goof skate and explore an entire world at your own pace. Platform: In summer 2003, Walt Disney Pictures and Pixar Animation will present the theatrical release of Finding Nemo. The film follows the undersea journey of a clownfish named Marlin as he searches for his missing son Nemo. The games will follow the movie's plotline and allow kids to play as the film's key characters and interact with the film's amazing 3-D underwater environment. With the Disney/Pixar motion picture Finding Nemo, The Academy Award-winning creators of Toy Story, A Bug's Life, and Monsters, Inc. take the art and technology of computer animation to a whole new level in a stunning underwater adventure with memorable characters, humor, and heartfelt emotion. The software version of Finding Nemo follows the adventures of Nemo and his marine-life friends using arcade-style game play. The game is set in a 3-D underwater environment and allows players to play key movie characters including Nemo, Marlin, and Dory, each with varied abilities. Gamers will explore several levels, including mini-games and bonus levels. The software is compatible with both PC and Macintosh computers. Platform: With the Disney/Pixar motion picture Finding Nemo, The Academy Award-winning creators of Toy Story, A Bug's Life, and Monsters, Inc. take the art and technology of computer animation to a whole new level in a stunning underwater adventure with memorable characters, humor, and heartfelt emotion. Finding Nemo: Nemo's Underwater Challenge, is brimming with mini-games and puzzle challenges involving the Finding Nemo film's central characters, Nemo, Marlin, and Dory. Each game is geared to entertain, challenge, and inspire kids to exercise their creative and critical thinking skills. The games include puzzles designed to cultivate exploration, cooperation, and problem solving. Following the movie's message, Nemo's Underwater Challenge will help teach courage, perseverance, trust, and the value of coming to the aid of one another. Platform: Disney's Aladdin Chess Adventures brings the chessboard to life. 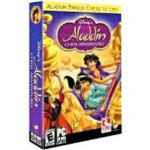 Turn the ancient strategy game into a magic portal to an enchanting, interactive world of Aladdin. Kids will have a great time while learning the classic game. Platform: In Disney Princess Magical Dress-Up kids become the princess of their dreams with Ariel, Belle, or Jasmine as their guide. Using the My Virtual Model tool, kids can choose from several different hairstyles, skin tones, and much more. Best of all, they can import a photo of their own face to appear onscreen as their favorite princess. And with millions of princess fashions and cool 3-D modeling technology to work with, kids ages 5 and older can create a new princess every day. Platform: Help Disney Princesses prepare for the Royal Horse Show. Players can groom, color, and dress their horses in beautiful accessories to get them ready for the festivities. They can even ride them through the show ring over a variety of obstacles at the Royal Fairgrounds. Featuring 6 horses and 4 princesses: Cinderella, Sleeping Beauty, Belle and Snow White. Little girls can decorate the fairgrounds, win awards, and print a scrapbook, trading cards and their very own riding certificates! As a special feature, the game has a "My Princess Desktop Pony" to care for. From the Royal Gazebo Cinderella will guide you through the Royal Horse Show. The Show Ring where the horses and the rider can be trained to perform. Snow White is here to help the player along the way over for more than 20 rides over 3 different difficulty levels. The Kingdom�s Royal Stables where Princess Aurora is ready to help the child select her very own horse to decorate. Show-creating the perfect decorating scheme for the Royal Fairgrounds. The Pony Barn to decorate the pony and create a desktop pony friend. The Craft Cottage where girls can print a scrapbook, trading cards and their very own riding certificates. They can also use a special growth chart that measures them in horse hands. Platform: Cinderella's Castle Designer builds on the creative and compelling legacy of Disney Princess games by giving girls ages 5 and older the opportunity to create and decorate the castle of their dreams. Once finished, they will experience a wonderful storybook adventure that enables them to free Cinderella from the magic spell that locks her in the Fairy Tale book. Girls can customize the exterior of the castle, design the landscaping, and furnish the entire castle in a unique 3-D interface that lets them explore every nook and cranny of their castle creation. Platform: Disney's Cinderella's Dollhouse is a magical place where kids canplay and decorate the dollhouse of their dreams with Cinderella and all herfriends. Kids can decorate six different rooms, from the chateau Cinderella shares with her stepmother and stepsisters to the lavish palace where she meets her handsome prince. There are hundreds of accessories and millions of possible combinations, as well as numerous animated surprises. And once thefinal touch is in place, kids can wave a magic wand to bring the charactersto life, causing Cinderella and the other characters to play in the completeddollhouse. Platform: If your child enjoys tea parties, castles, and princess prettiness, Disney's Beauty and the Beast Activity Center will enrapture her. And like its protagonist, Belle, this program has the right balance of beauty and brains. A gorgeous opening leads to the foyer of the Beast's castle where Belle and Cogsworth, the worrywart clock, and Lumiere, the candle with the Maurice Chevalier accent, are preparing a surprise party for the Beast. Visitors must help the castle's denizens prepare for the party in four different areas. Mrs. Pott's Teatime Table is in the kitchen, where guests must help set the table for three different meals; a rotating table gives this mundane-sounding task a fun spin. It takes good timing and hand-eye coordination to drop scoops of ice cream from high up on the shelf to the dishes spinning dizzily below. In the ballroom, visitors can pick music, decorations, and a gown for Belle, as well as choreograph dance steps in an activity that teaches sequencing and programming skills. Cogsworth's Library Mystery is another smart activity; players must use descriptive clues to eliminate books, then decide which of the remaining tomes hides part of a key that's necessary to unlock the Beast's lair. Belle's Writing Desk is a non-structured activity in which kids can create stained-glass windows, cards, party invitations, and other masterpieces. The Teatime Table and the Library Mystery have three levels of difficulty, all of which must be mastered in order to adequately prepare for the big payoff--the surprise party for the Beast. Interestingly, the Beast doesn't make an appearance until it's time for the party. He sleeps in the West Wing, and the castle gang gives explicit instructions not to disturb him. Clicking on his door earns a gentle reprimand as you hear him snore in the background. This patriarchal bit of ominousness may be irksome to parents who seek to teach kids non-stereotypical gender roles. The lavish graphics slow progress somewhat, and it wouldn't have hurt Disney to include a few more activities; maybe they should have made the Beast get off his couch and go get something nice for Belle. Platform: Do you know how Ariel lost her voice? Or where Mickey Mouse first appeared on the big screen? Test your Disney knowledge with thousands of challenging questions in the ultimate Disney trivia game. Play as Mickey, Minnie, Donald, or Goofy, all in 3-D animation, as you travel around the studio lot to see if you have what it takes to become the Disney trivia champion. Up to four players can roll the virtual dice and answer questions in five different categories: Animation, Film, Music, Personalities, and Mousellaneous. And once you've correctly answered questions in all five categories, you move on to a final trivia challenge. Platform: Get three of your favorite The Lion King games all in one. This collector�s edition includes Disney�s Adventures in Typing with Timon and Pumbaa which is filled with activities designed to build essential typing skills. Also included is Disney's Active Play, The Lion King II: Simba's Pride, where kids enter a jungle full of excitement. They can create wonderful arts and crafts; enjoy sing-alongs and puppet shows, all while learning about the jungle. And as if that wasn�t enough, also enjoy some of the zaniest game obstacles ever in Disney's GameBreak! Timon and Pumbaa's Jungle Games. Join them as they take you through the jungle and play all five slimy yet satisfying games. Platform: Everyone's favorite temperamental, unintelligible duck is back, and he's better than ever in this cool, platform-style adventure game. Donald must rescue his beloved Daisy, the intrepid girl reporter, from Merlock, the dastardly magician. Typical of platform games, certain tasks must be completed to prevent Daisy from meeting a tragic end: components of a warp pad must be gathered, the boss must be defeated, and a handful of weathervanes need to be installed before Daisy will be safe under Donald's wing. Bonus rounds prolong the fun once the main goal has been accomplished, with enough additional rewards and challenges to generate several extra hours of enjoyment. Controls are simple to operate, and kids as young as 8 won't have much trouble getting Donald to attack, jump, and run. The graphics are truly outstanding, with rich color and depth. On occasion, the game pauses to load new screens or save previous ones, shown by a color-changing bar across the bottom; while waiting it out can require a bit of patience, it's also a nice time to shake out your cramped fingers! Ending and saving games is easy as well; the escape key is the only button needed, and menu options are labeled intuitively. The intro to the game is a short animated cartoon that provides the storyline, and while it can be skipped by tapping the space bar, true Donald lovers are sure to enjoy repeat viewings. The world's crankiest duck is definitely at his best here. Platform: It's Mickey and Minnie Mouse to the rescue in this 3D Adventure game, and you control the characters while exploring 25 different hometown locations. Play as either Mickey or Minnie. Retrieve Donald's possessions by crossing a gridlocked freeway running through the center of his house. Help Mickey or Minnie prepare a sandwich, with ingredients hurled in every direction by the automatic sandwich-making machine. Collect the parts Von Drake needs to complete his flying machine, then complete your mission to rescue Mickey or Minnie. Keep Mickey and Minnie's hometown clean while searching for clues in over 25 fun-packed locations. Adjust the skill level to challenge all players, ages 4 to 8. Platform: TRON 2.0 is an action-packed story-driven title inspired by TRON, the groundbreaking science-fiction motion picture. The game takes place in present day, approximately 20 years after the events of the film. Playing as Jet Bradley, son of ENCOM programmer Alan Bradley from the movie, gamers are digitized into cyberspace and will race on light cycles, battle corruption both inside and outside of the computer world, and explore locations including the Internet Hub, Firewall, Corrupted Server and Light Cycle Game Grid. Platform: In Disney Girlfriends, Ariel, Belle, and Jasmine guide girls in a variety of games and interactive Internet activities. Rather than connect to the Web using a browser, once loaded, Girlfriends links preteen girls to a secure Disney server and a world of creative fun. Keep a daily journal with Belle. Create an address book with Ariel. Set up a private chat room for up to four friends with help from Jasmine. Plus, girls can build and post their own Web pages. A password-protected parental approval feature lets parents enable, as well as disable, any or all online activities. Also, chats can only be conducted with users who own this title and with whom passwords have been exchanged. Platform: Step into the magical world of Disney's princesses and play in a royal fashion boutique. Kids create their personal 3-D princess and dress her up in millions of elegant ball gowns. They can even add their photo for complete personalization. They can create beautiful collages in the Star of the Story activity, and then print or e-mail their collage to share with a friend. All princesses will delight in this title's Enchanted World, a magical land that offers hours of exploration. Best of all, with Disney's Princess Fashion Boutique anyone can be a princess. Plus, the cool purse makes it easy to share the fun with a friend. Platform: Disney's Beauty and the Beast: Magical Ballroom captures the magic, romance, and humor of the animated feature film. Kids join Belle, Beast, Chip, Mrs. Potts, Lumiere, and Cogsworth in four exciting interactive activities: Belle of the Ball, Cogsworth's Library Mystery, Mrs. Potts's Tea Time Table, and Belle's Writing Desk. Filled with music, dancing, and mystery fun, kids develop creativity, coordination, and logic skills in Beauty and the Beast-themed environments. Return to the magical world of the Beast's castle. Prepare for Beast's surprise birthday ball by decorating the great ballroom, choosing the music, creating special dances, and more. Help Cogsworth and Lumiere search for the key that will unlock the West Wing's secret passages. Then help Mrs. Potts and Chip ready dishes and food for teatime in a fast-paced arcade game. While at Belle's writing desk, a world of printable activities awaits. Kids create ball invitations, storybooks, greeting cards, and even stained-glass illustrations with characters, images, and props from the Disney movie. Platform: Kids adventure with the tiniest member of Winnie the Pooh's Hundred-Acre Wood family in Piglet's Big Game. Help Piglet make a soup to share at a special celebration. Journey with Piglet through the enchanting Hundred-Acre Wood. Along the way, brain-teasing puzzles and creative activities build age-appropriate learning skills. Each Winnie the Pooh themed activity features colorful graphics and beloved characters. Puzzle through Pooh's broken honey pots, navigate Piglet safely across a large lily pond, mix colors with Eeyore, and help Owl find his spices for Piglet's celebratory soup. Platform: In Ultimate Ride Coaster: Disney Edition you create your own Disney theme park. Design and build the best roller coasters, then take a ride on them yourself. Create a fun and lucrative park with props and rides based on real Disney attractions like Toontown, Frontierland, Main Street, and Space Mountain. With Ultimate Ride Coaster: Disney Edition, you can create the happiest place on Earth. Platform: Rarely does a game come along that offers all the facets for the family to enjoy together. Regardless of gender the Ultimate Ride Coaster Deluxe has no boundaries. the children and their parents get a chance to compete with each other using all their creativity. Just good oldfashion fun. No combat, no guns, no tanks, no planes. roller coasters. Designed by each player. Track designed by each player. Terrain selected by eack player. Disney interactive has to be applauded for giving us creative entertainment without the blood and guts of combat and more combat. The sound and visual effects of designing your own roller coaster and taking it on its maiden run are a unique thrill. The choices from coaster, to tracks and tressels, and terrain promise the users to many hours of non duplicated fun. Visually this game has asthetic values that change and are rewarding from design to design.Directions are clear, making the hours spent, hassle free. I envy all who will be taking their first trips on their newly designed roller coasters. Platform: A multivehicle racing romp, Walt Disney World Quest: Magical Racing Tour takes players on a high-speed tour through 13 fantasy tracks based on popular Walt Disney World Resort theme park attractions and water parks, such as Space Mountain, Pirates of the Caribbean, Rock 'n Roller Coaster, and Typhoon Lagoon. Charged with finding all the pieces of a giant fireworks machine, gamers play as their favorite Disney friends, including Chip 'n Dale, Jiminy Cricket, and 11 additional characters. Around every turn there are secret treasures, hidden tracks, and speedy power-ups to help players stay far ahead of the competition. Gamers can launch a variety of fun objects at the competition, such as frog spells, teacup mines, and flying acorns to spin them out of control and gain an advantage. Platform: Mix your tune, add your art, and grab the mic: Radio Disney, featuring music from Lill J, lets you run your own music jam/mixing sessions and create your own songs and music videos. Choose mixes from a wide variety of music styles, and customize each song by moving the music around, changing the volume, pitch, tone, speed, background sounds, and vocals. Then take the mic and step into the recording studio to lay down a vocal track. Next, make an animated video to match your music. You can even create a customized desktop player that you can use to play all of your CDs, MP3s, and WAV and WMA music files. Save your creations to your own personal play list, and send your Jam Gram to all your fans. Platform: Disney's Magic Artist Studio lets you draw, paint, and create animations with your favorite Disney characters. Create, animate, and print your images with tools and paints that burst onto your screen. Roses sprout from your canvas, and butterflies soar through 3-D paintings virtually dripping with color. Disney character images dance to disco, rock, classical, and island beats. Platform: Disney's Magic Artist Deluxe is the next great title in Disney's line of interactive creativity products that tap into the artist in everyone. You can express yourself with the use of amazing art tools, crazy effects and, with this latest edition, a whole new look and feel featuring new functionality and updated content. With a broad range of art tools for drawing, painting, sketching, editing and more, kids and families can create drawings, animate them and e-mail them to friends. Scan in a photo, manipulate it and presto -- crazy images to post on your own web site. Even make a party with Mickey, Minnie, Donald, Daisy, Goofy and Pluto, creating backgrounds and adding music. There's limitless opportunity for instant fun and creativity for everyone! Platform: Using Disney's Magic Artist Cartoon Maker, kids can create their own animated cartoon shorts. Design and customize colorful animated sequences, then add music, effects, props, titles, and credits. Design a range of animated shorts, then queue them up, and add a guest star and a bonus Disney short to create a complete show for family and friends. Platform: Disney's Magic Artist Classic is a fun way to draw and paint on your computer. It's easy to create your own works of art with watercolors, markers, crayons, and more. Go crazy and spray your drawings with ladybugs, confetti, seashells, whipped cream, and other wacky special effects. Scenes and characters include Mickey and Minnie at the beach and Donald in outer space. There are over 300 graphic elements, including characters, backgrounds, props, and more. Choose from all of your favorite characters in hundreds of costumes and poses. Print your artwork or showcase it on the computer in a musical slide show you design. Watch and learn as Disney artists show you how to draw Mickey and the gang. Then try your hand with pencil and tracing paper right on your screen. Platform: The problem with sculpting in clay is the mess, and if you're a parent, it takes nothing more than hearing excited voices shouting, "Play-Doh!" to raise the hairs on your neck and send you scrambling for the cheap tablecloth. The idea, then, of a virtual clay studio is appealing--all the creative freedom kids want, with none of the mess. Disney's Magic Artist 3D satisfies that creative hunger, at least to a large degree. Designed for the younger set, this basic 3-D modeling tool lets kids build shapes of their own, apply textures, group objects, and manipulate them onscreen. It also includes a modest library of such prebuilt shapes as a cow, dog, couch, doghouse, fence, wagon, etc. Any shape can be added to any scene, and then colored in a variety of ways--by using a paint bucket and a color of your choice, or by selecting a predefined pattern. Adding a striped design to a 3-D cow is always fun, especially when it's standing on a cow-patterned couch. The highlight of the program comes by adding Mickey Mouse himself to a scene. While this isn't an animation program, Mickey has some animated actions of his own--adding him to your creations and pressing the play button makes him do things like throw sparkles into the air. The soundtrack and sound effects are first rate--good speakers make a nice difference, too. Interesting and fun sounds reinforce the selected tool, helping you to remember which tool does what by differentiating it both visually and audibly. If you've got a little one that's dying to make things with his or her hands, Disney's Magic Artist 3D may be just the creative outlet you're all looking for. Platform: Join your favorite characters from A Bug's Life, Toy Story, Tarzan, Mulan, Winnie the Pooh, and The Little Mermaid as they turn your computer and printer into a home printing studio. Disney Classic Print Studio Collection is a package of six titles with everything you need to create fun art projects, as well as cards and other projects for holidays, birthdays, and family traditions. The programs are all designed to be easy for kids to use, but pack a surprisingly powerful array of features for editing images to get just the look you want. Platform: New from Print Artist comes Disney Print Creations: Movie Collection, with characters from Disney movies including The Lion King, Beauty and the Beast, The Little Mermaid, Mulan, Hercules, and much more. Disney Print Creations provides everything you need, from fun graphics and layouts to creative ideas and a QuickStart Reference Card to help make your print projects come to life. No other print publishing product offers this much Disney content plus all the tools and materials you need, in one box. Whether you want to make a card, banner, or gift bag, you can do it all with Disney graphics and layouts. With over 7,200 quality Disney projects on CD, and more available online, you will have everything you need to make unique and creative projects featuring your favorite Disney characters. Platform: Print Art: Disney Mickey and Friends lets you make everything from party invitations to personal stationery, all adorned with the cheerful faces of Mickey, Pluto, Minnie, and other early Disney characters. Whether you want to personalize your calendar, build a scrapbook of favorite photographs, or print out customized stickers, this is the package that can get the job done. At first glance, Mickey and Friends is yet another of the many graphic illustration programs clamoring for user attention. It has all the standard features: predesigned projects including bookmarks, finger puppets, and masks, lots of clip art for individual works, image-editing tools, and a variety of fonts. What distinguishes this particular package from its peers, though, is quality. Its image-editing tools genuinely increase a user's creative options without making the package impossibly difficult to use. Creating rainbow text, swirling banners, or layered images is as easy as clicking a button. Even young users will find they can truly create dazzling images from scratch, instead of merely editing the provided templates. Another small but valuable point in favor of Mickey and Friends is that, unlike many similar programs, it does not assume that every home is equipped with a color printer, and thus seize up and crash when users attempt to print out their work in black and white. Though it is obviously preferable for a package of this nature to work in partnership with a color printer, the Mickey and Friends graphics retain their character and sharpness whether the color is there or not. The images themselves also cover an admirable range of artistic styles, increasing the choices available to users as they learn the fundamentals of design. If Mickey and Friends has a flaw, it is that it has, in one respect, chosen a narrow scope for its graphic library. Images of Mickey, Donald, Daisy, and the other classic characters are included in great number, but users who want to work with newer characters, like those from Aladdin or 102 Dalmatians will be disappointed. This is a small issue, however, especially given the overall quality of the program and the thoughtfulness of its design. These features mean that Mickey and Friends is possibly the most kid-friendly graphic program available today. Platform: Now you can use all of the classic characters from Winnie the Pooh in your publishing projects! Print Artist Disney: Winnie the Pooh provides everything you need--from fun graphics and layouts to creative ideas--to make your print projects come to life. Get 2,000 high-quality Disney images offering genuine Winnie the Pooh graphics and layouts. You will have everything you need to make creative and unique projects with your favorite Disney character and his friends. Included are all the tools you need to make quick, imaginative projects for friends and family. Personalize all of your projects as well: whether you use the predesigned layouts and templates or create your own, you can personalize them to be one of a kind. Use the software to create greeting cards, banners, brochures, booklets, and more. Platform: Disney's Print Studio, featuring Flik, Princess Atta, and Princess Dot, is everything you need to be creative for the special holidays, birthdays, family traditions, and all the just-for-fun days in between. Bring out the nature of your creativity and bug out with your custom print projects. With Disney's Print Studio you can make banners, envelopes, photo stickers (new), place mats, postcards, bookmarks, greeting cards, place cards, coloring pages, photo frames, business cards, growth charts, invitations, posters (new), stickers, calendars, certificates, letterhead, door hangers (new), and notepads. It contains over 130 images including those of favorite characters as well as patterns and borders inspired by the characters of Ant Island. Platform: In Disney's You Can Fly! with Tinker Bell, kids join Tinker Bell on a daring adventure to win Captain Hook's treasure. Peter Pan has stolen Hook's treasure, and he's holding a contest to see who can find it first. Solve puzzles and master action-based flying games with Tink to win pieces of the valuable treasure map. Find all the pieces of Hook's treasure map and claim the bounty with Tinker Bell. Kids will enjoy making her fly, and Tink's just as fun and feisty as ever. So, watch out Captain Hook and Peter Pan. Platform: Disney's The Lion King II: Simba's Pride Active Play encourages children to sing and play as they romp through the Pride Lands on a safari of fun, and join Kiara and Kovu for a whole jungle full of excitement. In addition to enjoying arts and crafts, sing-alongs, and puppet shows, kids will share plenty of laughs with friends Timon and Pumbaa. There are also masks and wacky animals to print and play with, and seven original songs. Platform: This collection of three animated Disney storybooks lets children read along with the stories and play a variety of related learning games. In Winnie the Pooh and Tigger Too, kids can explore the 100 Acre Wood and bounce along with Tigger, Pooh, and the gang in a number of games designed to improve memory and vocabulary. 101 Dalmations features four learning games, hundreds of surprise animations, six sing-along Disney tunes, and scrollable, panoramic scenes from the Disney movie. Toy Story has the same incredible animation seen in the movie, and lets kids read along and relive favorite moments from the story. It features five activities and 15 clickable story screens to explore. 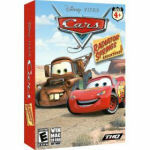 Platform: This is a package of three popular action games based on Disneymovies. In Toy Story Power Play you'll go one-on-one with the evil Claw, Scud, and the workbench of horrors while trying to rescue Buzz from the toy-torturing boy next door. You also must rescue the squeeze-toy aliens and ward off mutant toys. Also includes a new scene not in the movie. In A Bug's Life Action Game, Hopper and his evil grasshoppers are after the ant colony. You lead an army of warrior bugs--Tuck and Roll, Rosie, Heimlich, and the Acrobats--to save the queen and colony. Collect seeds and berries for ammunition, climb leaves and mushrooms to reach higher ground. The Tarzan Action Game takes you through Tarzan's life from boyhood to manhood. Develop skills and abilities like tree-surfing, riding elephants, and swinging on vines. Play as Tarzan, Jane, Terk, or Tantor and combat snakes, alligators, and other jungle enemies. Enjoy 13 action-packed levels of 3-D adventures with Tarzan and his friends. Platform: Disney's Lilo & Stitch Hawaiian Adventure truly re-creates the experience of Disney's movie by immersing kids ages 3 to 6 in the world of Lilo & Stitch and their wild, zany adventures in Hawaii. In this series of adventures and challenges, kids interact with Lilo, Stitch, Mr. Bubbles, and the aliens Jumba and Pleakley. Each challenge takes place in a location straight from the film and includes an assortment of play, logic exercises, and strategy games to move kids through the overall game. By utilizing tools given and successfully completing the activities, kids will progress through the game and build to a finale that will use all that the kids have learned and earned throughout the game. Platform: Now every ride, attraction , sow, hotel, recreational activity and nightspot is yours to discover throughout the Magic Kingdom, Epcot and the Disney Studios, Florida! You can begin your exploration at the main map that covers the entire resort and comes to life with animation and your favorite Disney music. Then there's fun at every turn with narrated articles, video and music. From Cinderella Castle to The Twilight Zone Tower of Terror, you and your family are about to enjoy the fun and excitement of the most magical place on earth! Platform: Multi-level games, sing-alongs, and surprise animations make reading along with your favorite 101Dalmatians characters the most exciting way to read and learn. You'll even get to help save the puppies from the evil Cruella De Vil! Platform: Disney's 102 Dalmatians Activity Center stars all the puppies you can handle. Starting with Adopt-a Puppy, you can pick out a virtual pet to help you along on your adventures. Next, in Pup Art Gallery, make a masterpiece in the museum, where the famous Dogue magazine is created, using original movie backgrounds or the latest in puppy fashions, characters, textures, and colors. Gather clues in Top Dog from the Parisian Twilight Bark gang to find their leader and free the puppies. Once in the bakery, save the puppies from becoming pup-cakes in Dog-O-Matic. There's even more fun in Supper Bowl Champions: you must feed all 102 Dalmatians before they devour Cruella DeVil's kitchen. Platform: Children can play mind-challenging games, sing along with their favorite songs, or help Pooh find his next pot of honey. Each click of the mouse invites kids to explore and brings new magic to a familiar story, a much-loved bear, and a whimsical, wooded world. Listen to the story, or read along as the words are highlighted on the screen. Build vocabulary in a delightfully animated action dictionary that defines key words. Develop early learning skills with four fun activities. Sing along with five cheerful songs, including the "Winnie the Pooh" theme song. Interactive fun makes reading so much friendlier. Disney's version of Pooh's adventure comes alive with the click of mouse. Listen to the story. Read it on screen. Click on a word or picture to see colorful animation. Hear music, play games, and sing along with the Hundred Acre Wood gang. Platform: Four colorful and creative learning titles bring favorite characters to your child's desktop. Designed for toddlers 1 1/2 to 3 years of age, All Aboard Toddler Adventure's four interactive titles include Disney's Winnie the Pooh and Tigger Too Animated Storybook, Blue's Clues: Blue's Reading Time Activities, Little Bear: Rainy Day Favorites, and Playhouse Disney's Rolie Polie Olie: The Search for Spot. Kids listen to stories and music with Pooh and Tigger, help Blue and friends write and produce the Big News Gazette, adventure through 40 printable activities with Little Bear, and create a robotic musical score with Disney's Rolie Polie Olie. Along the way, fun friends--like Tigger, Mr. Pepper and Mrs. Salt, and Spot--join the fun, as kids build age-appropriate vocabulary, word-recognition, reading, and memory skills. Platform: Disney's Winnie the Pooh & Tigger Too Animated Storybook lets kids play and learn with beloved Hundred Acre Wood characters. Kids can read along or listen to the story of Tigger discovering that his friends have tired of his bouncing ways. There are also fun skill-building games that let kids earn their learning stripes. Platform: Ariel's Story Studio lets you dive into an ocean of activities swimming with fun. You create, learn, and play in a world filled with games, activities, and surprises. Explore an amazing story and build skills in reading, writing, and problem solving. Ariel's Story Studio is a fun filled, action packed adventure as Ariel, Sebastian, and Ursula the sea witch take you through the story of The Little Mermaid. King Triton's seahorse of a henchfish is your guide, as well. Whenever you click on him, he will let you either go to the pick a page screen, or quit the game. Whenever you click on Ariel's, Sebastian's, or Ursula's bubble when there is a star in the top left corner of the bubble, then that character will read the text again. If you click on Ariel's, Sebastian's, or Ursula's bubble without a star in the top left corner of the bubble, then they will say something to you. On every screen there will be a special message in a bottle. When you click on it, it will show you a very special sticker that will go into your storybook, more about that later. On other, certain screens, you can play fun games. In Rolling Plates, help Ariel store all of her china plates in a treasure chest. In Scuttle's Spyglass, you can take a close up look at Eric's ship. At Ariel's Shelf, help Ariel put all of her things back on the shelves. Along with Ariel's Shelf, there is the Statue Puzzle. King Triton has destroyed Ariel's statue of Eric! Ariel needs your help to put the statue back together. In Dig For Little Treasures, There will be a crab (but not Sebastian) to help you dig under the lumps in the sand and find little trinkets. To get the crab, click on the biggest Lump in the sand. In Spell Making, Flotsam & Jetsam will tell you what colored bottles to put in Ursula's cauldron, so you can see clips from the movie!! Whenever you click on a starfish, it will take you to an activity. There are three in all. There is the Make Your Own Music activity. That will allow you to create your own musical numbers and have different groups of fish sing your song using the number keys on your keyboard. There are instructions on what to press and when in the program manual. There is also the Make Your Own Grotto activity. You know Ariel's grotto, right? Well now you have your own! You can invite fish and plant sea shrubs. When you Click on the camera, then you can click on anything else to find out fun facts About that thing. The last activity relates with the first game I told you about Earlier. The Make Your Own Storybook activity. This activity lets you write, illustrate, and color you own book about the story of The Little Mermaid. If you see a bottle with a half wrinkled note in it, that is all the special stickers you found throughout the story. This is just like an Animated Storybook, only better. There are no other Story Studios besides Ariel's. Note: this CD-ROM is in no possible way scary. Even though Ursula is a witch, she is not a scary one like some other Witches in the world. Well that's it. I hope that this review has helped you and encourages you to get this CD-ROM. Platform: Here's your chance to reunite online with the entire undersea gang. The Little Mermaid II: Return to the Sea brings Ariel, her daughter Melody, Sebastian, and all the other characters from the two Disney films straight to your computer, in a package of games and activities certain to please young players. Return to the Sea features two arcade games--Melody's Daring Dive and Too Cool!--and a trio of creativity-oriented activities. In the first game, Melody dives for jewels and pearls while dodging sharks and other hazards. In the second, she collects gems in an effort to thaw out a trident, which she must then use in battle with the nefarious Morgana. Both games are fast paced and well designed, boasting 20 levels of difficulty. Unlike some games for this age group, these genuinely get harder, ensuring significant replay potential. The noncompetitive activities include Aquabatics, where players design an underwater dance show; Mermaid Memories, an interactive sticker book; and Melody's Melodies, a karaoke program featuring two songs from Disney's newest Little Mermaid film. Setting up the routines in Aquabatics is a lot of fun; players can flip and spin their favorite characters in a variety of swimming twirls. Though almost all games for girls include a program like Mermaid Memories, the one featured in this game is put together extremely well. The backgrounds are flexible, the graphics meld seamlessly into the scenery, and players can even add sounds and movements to the scenes they create. Finally, Return to the Sea comes with a second CD-ROM, Ariel's Story Studio, a gateway to even more undersea adventure. The one real disappointment of this package is Melody's Melodies, which only features two songs and a few simple options for singing them. Kids learning to play musical instruments might also notice that the presentation of the music isn't correctly laid out on the staff. However, the program's other delights more than compensate for this weakness. Broad enough in scope to ensure wide appeal, and of the highest quality to guarantee player entertainment, Return to the Sea provides hours of fun for the whole family. Platform: Without you, there will be no happy endings! In Disney's Villains' Revenge you must journey into Disney's most famous stories to restore the happy endings before the villains take over forever. With Jiminy Cricket as your guide, your missions include rescuing Dumbo from the Ringmaster and a band of evil clowns, breaking the evil Queen's spell to save Snow White from eternal slumber, restoring Peter Pan's youth by dueling Captain Hook and his cutthroat pirates, and helping Alice in Wonderland escape the dastardly hedge maze of the Queen of Hearts. Platform: Playhouse Disney brings The Book of Pooh: A Story Without a Tail to life in this engaging, early-learning game for children ages 3 to 6. Preschoolers immerse themselves in the unique and enchanting world of Winnie the Pooh and his beloved friends from the Hundred Acre Wood. Interactive activities and educational games--featuring puppet versions of Pooh and friends--develop early-learning and critical-thinking skills. Children also practice their keyboarding and mouse abilities, all under the gentle guidance of that delightful and comforting "silly old bear." Platform: Disney's Tigger's Honey Hunt is a fun-filled CD-ROM game starring our lovable hero, the whoop-de-dooper loop-de-looper ali-ooper bouncin' Tigger! Join Tigger on his mission to collect as many honey pots as he can for Winnie-the-Pooh's big party. Along the way, kids can collect pieces of photographs for Tigger to put in his photo album. Collecting all of the honey pots will scatter more photographs across the next game level. There are three different photographs per level. Collect them all, and you will complete the photo album for a special bonus. But beware! There are creepy trees, scary crows, steep slopes, strange woozles and other things to frighten Tigger along the way. Platform: For devoted fans of Pooh, Piglet, and especially Tigger, it will be a delight to know that now you can visit the bouncy feline on his home turf, cruising the 100 Acre Wood and interacting with many of the most beloved of author A.A. Milne's Winnie-the-Pooh characters. Disney's Tigger's Activity Center is an electronic version of games children in the 4- to 8-year age bracket once played with pencils and paper. In Spot the Dots, for example, users click on numbered dots to reveal the outline of a picture. In Bushels of Fun, they sort various vegetables into labeled baskets for Rabbit. Travels with Tigger is essentially a board game, one which lets one or two players race Tigger and Pooh around the Wood, encountering other Pooh characters along the way. Of the entertainments offered, Tigger's Turtle Hurdles is the most challenging and replay-friendly. An exercise in logic, it challenges users to work out a preset pattern of colored turtles. If you can deduce the pattern correctly based on the clues provided, you can build a bridge of turtles for Tigger to bounce across, getting him safely over the river where his friends are waiting. Spot the Dots is also surprisingly appealing, as it proceeds from simple challenges--connecting 10 spots into an easily recognized shape, like a ball--to more complex images. Another nice twist is that several mystery pictures appear on each virtual canvas, eventually forming a larger whole. Platform: What do monsters do all day? Kids can find out in Disney/Pixar's Monsters, Inc.: Scream Team Training, a delightful game developed for kids ages 4 and older. Kids play games with their favorite monsters from Monsters, Inc., as well as the company's newest employee. The goal is to win the title of Top Scarer. Ten challenging activities, each hosted by a different monster, feature 30 different game levels, for 300 levels in all. Join the exciting day-to-day activities at Monsters, Inc. Kids can even strive to become Employee of the Day, Month, or Year. To become the best employee, though, you'll have to feed hungry monsters, collect screams, pacify baby monsters, train to be a Top Scarer, and more. Colorful environments include the mailroom, lunchroom, day-care center, parking lot, simulation room, and the scream collection and canister storage areas at Monsters, Inc. Play with favorites Sulley, Mike, Roz, and the rest of the Monsters, Inc. gang in a series of monstrously fun activities designed to challenge children and leave them screaming with laughter! Platform: It might not be OK to jump out from behind bushes to scare kids in real life, but in Monsters, Inc. Scare Island, players won't get very far without freaking out plenty of virtual kids. Playing as either the diminutive Mike or the gigantic Sulley, the goal is pretty simple: to maneuver through training grounds on Scare Island, avoid menaces like toys and alarm clocks, grab food, and scare as many little ones as you can in the time allotted. Robotic children called Nerves are designed by the monsters to test players' abilities and separate the elite Scarers from the "wannabes." The controls are very simple to learn and use--tapping the arrow keys and a few letters will have the onscreen monsters bouncing, yelling, and shaking their scary-makers. That said, we recommend using a gamepad rather than your PC's keyboard for better overall control. The 3-D animation features some cool backgrounds, including desert, mountain, jungle, and city scenes, but the characters are a little blocky; this doesn't affect gameplay at all, but those used to the slick Pixar look might be mildly disappointed. Platform: After a long day of work, everybody needs to relax--even monsters. Join the very big, very blue, purple-spotted Sulley, the number one Scarer at Monsters, Inc., for a wild game of bumper pool. Rack 'em up! Monsters, Inc. Wreck Room Arcade: Eight Ball Chaos takes you to the Wreck Room, the monsters' after-work hangout, for a not-so-typical game of billiards. Join Top Scarer Sulley to play through multiple levels and layouts. Play with pool sticks and bumpers that react to gameplay! Disney/Pixar's Monsters, Inc. Wreck Room Arcade: Eight Ball Chaos is part of a trio of Monsters, Inc. Wreck Room Arcade games. Collect all three to unlock a secret fourth game, Monster Mania, free! Scare up as many screams as you can in Monster Mania, jumping through windows and doors to collect screams, all the while avoiding humans and the objects they're throwing. Monsters, Inc. Wreck Room Arcade: Monster Tag takes you to the Wreck Room, the monsters' after-work hangout, for a not-so-typical game of tag. Join the temperamental Roz as a member of the CDA (Child Detection Agency) and tag as many human items as you can while delicately balanced on a seesaw. Disney/Pixar's Monsters, Inc. Wreck Room Arcade: Monster Tag is part of a trio of Monsters, Inc. Wreck Room Arcade games. Collect all three to unlock a secret fourth game, Monster Mania, free! Scare up as many screams as you can in Monster Mania, jumping through windows and doors to collect screams, all the while avoiding humans and the objects they're throwing. Platform: After a long day of work, everybody needs to relax--even monsters. Join the very green, very feisty one-eyed Mike, Sulley's lovable sidekick at Monsters, Inc., for a howling game of bowling that will have you screaming with laughter! Monsters, Inc. Wreck Room Arcade: Bowling for Screams takes you to the Wreck Room, the monsters' after-work hangout, for a not-so-typical bowling game. Join Mike and send your ball down an obstacle-ridden lane. Guide your ball successfully to grab power-ups all along the way. Disney/Pixar's Monsters, Inc. Wreck Room Arcade: Bowling for Screams is part of a trio of Monsters, Inc. Wreck Room Arcade games. Collect all three to unlock a secret fourth game, Monster Mania, free! Scare up as many screams as possible in Monster Mania, jumping through windows and doors to collect screams, all the while avoiding humans and the objects they're throwing. Platform: In Monsters Inc: Mike's Monstrous Adventure you'll get more of the fun and laughs you saw in the the film! When Mike and his friend George start playing with the new laugh energy machine when it explodes! Now they find the parts & put it together before the big press conference! Explore multiple levels across the power plants and seek out all the missing parts Use your skills and quick thinking to get the missing pieces out of tight spots Get the machine back together in time, or Mike's going to be in monster-sized trouble! Platform: Brother Bear, the PC game, will allow the player to immerse himself or herself in an interactive version of Kenai�s world, being thoroughly entertained and a part of the lush 3D environment. The game opens as the pair of moose, Rutt & Tuke, lightheartedly decipher a series of petroglyphs adorning a rock face. As the comical narration explains the transformation of the boy named Kenai into his rival the bear, the story transitions into real-time 3D Gameplay. Disney's Brother Bear, the PC game, allows the player to immerse himself or herself in the fully interactive version of Kenai's world, being thoroughly entertained and a part of the lush 3-D environment. Not only can players play Kenai and Koda as bears, they can also transform into a wolf, crow, and an eagle! Features real-time 3-D gameplay based upon the grand adventure of Brother Bear, a fully interactive world and ability to play with seven characters from the film! For kids ages three and up. Platform: Designed as a thrilling blend of role-playing and action Pirates of the Caribbean takes place in a large group of Caribbean islands during the golden age of piracy and high seas adventure. You will take command of a ship and its crew, swordfight with other captains, accept and complete daring quests, chase rumors of dangers and riches, and change allegiances amongst the colonial powers in the game. Through skill and daring, you will have the ability to obtain more power than the toughest captains in history ever dreamed possible. You will be able to customize your captain, crew, skills, and attributes to their individual liking. During shore leave on the many fanciful islands, players can interact with townspeople and shopkeepers to replenish stores of ammo and crew, and explore the wilderness in search of adventure and treasure! A party-based system on land and at sea allows you to hire friendly captains to form small fleets of ships for trade or battle, and your own band of adventurers when on land. Ultimately, you will be able to control your destiny by following the game story or sailing off in a search of pirate loot. Pirates of the Caribbean features advanced AI, incredibly detailed characters and vessels, breath taking views at sea, and lush, exotic environments. Enhancing the game's realism, wind and water conditions will affect how ships sail and fight. Day and night lighting and jaw-dropping water effects make the game come alive. Platform: Disney's Lilo & Stitch: Trouble in Paradise takes kids ages 6 to 12 to Hawaii, where they help Stitch avoid bounty hunters and Lilo work her voodoo magic while scaring away enemies in wild, nonstop gameplay action. With a wide variety of foes, ranging from a humble turtle to alien bounty hunters, Lilo and Stitch must cross unique and challenging landscapes while testing their wits in a quest that traverses the tropical islands. Platform: Surf's up with your favorite pinball partners! If your children loved Lilo & Stitch, they'll love playing pinball with the characters from this delightful film. In a exciting fast-moving game, kids run the show, controlling the lightening quick bumpers that keep on coming and testing their speed skills. The pinball action-and fun-never stops! Platform: Ariel returns to the sea with her curious daughter Melody in Disney's The Little Mermaid II: Return to the Sea. Kids join Ariel, Melody, Sebastian, and new hosts Tip and Dash on exciting adventures in the underwater world of Atlantica. Five activity areas feature arcade play, music, and creative fun. Kids dive to daring depths with Melody and Sebastian in a hunt for precious gems. Choreograph underwater dances, sing along with a selection of sea-themed karaoke activities, and more. Three undersea environments and 15 levels keep kids challenged and entertained. Plus, the cool purse makes it easy to share the fun with a friend. Platform: Swing into a jungle full of fun with Disney's Tarzan Activity Center. This high-flying CD-ROM features a young Tarzan in a variety of games, puzzles, music, and creative fun for kids, ages 4 to 8. Platform: Adventure into the colorful and lush 3-D jungle world of Disney's Tarzan Action Game. Join all your favorites from Disney's animated film Tarzan. Develop dozens of skills and confront perils lurking in the jungle, while mastering the moves of the young and adult Tarzan as well as Jane, Terk, and Tantor. Test your skills against 13 savage levels of jungle action gameplay. Platform: Disney's Animated StoryBook: Toy Story is a CD-ROM adventure where you bring the story to life. With the click of a mouse, you'll enter a wacky 3-D world where toys come alive. As you read along, it's up to you to help Woody and Buzz escape bad-boy Sid, catch the moving van, and become best buddies. Every page is packed with fun surprises, plus music and 3-D graphics just like the movie. In fact, there's plenty of new animation for a nonstop reading adventure worth getting all wound up about! Platform: Get ready, Space Ranger! It's time to put your training to the ultimate test with Disney/Pixar's Toy Story 2 Action Game. Woody's been toynapped, and it's up to you to lead Buzz on a rescue mission. Featuring high-resolution 3-D graphics and immersive sound, players maneuver Buzz Lightyear through 15 worlds and go up against Emperor Zurg. Square off against Zurg's evil robot army in no less than five intense Boss battles. Battle them back with dozens of cool moves, including the zip-line slide and Buzz's unbeatable torso-spin attack. On your mission to save Woody, you'll be joined by Hamm, Rex, and all the classic and new Toy Story characters. Platform: Though it may not appeal to many adult gamers, Disney's Toy Story 2 Action Game is a solid arcade game. The title combines the style and humor of the movie with 3-D platform-game elements you would normally find in a video game. In fact, the exact same game is also available for the PlayStation and Nintendo 64 game consoles, and its video-game roots are often clearly visible. Players take control of Buzz Lightyear in his quest to rescue Woody from the evil clutches of Al, the toy collector. The game is played from a third-person perspective and is more like Super Mario 64 than Tomb Raider. Many of the 15 levels--most of which revolve around actual locations from the movie--are straightforward, but offer numerous bonus items and secret areas to explore. In order to make it through the entire game, Buzz has to perform many difficult jumps, climb trees, zap evil toys with his laser, and interact with all of his toy pals to get clues. Much like the movie, the game's primary audience is kids (ages 8 and older); adults may tire of the arcade-style jumping and climbing action in short order. Still, for parents searching for a family-friendly computer game--and one that wonderfully re-creates the environments and characters of a great Disney movie--Toy Story 2 Action Game is a great bet. Platform: Hey howdy hey, all you deputies out there! Now you can have as much fun as Andy does with Buzz and Woody in this activity pack that's chock full of arcade games and printable art. Most of the games have a theme found within the movie; you'll even get to play "dodge the traffic" hidden inside road cones! There's also a hilarious trek through the luggage carousel with Buzz on a hunt to rescue Woody, and it's trickier than you might think. Platform: Jesse's Wild West Rodeo is a 3-D fun-filled hoedown based in the world of Toy Story. Jump into action as the toys set up three rodeo events. Play as Jessie and round up aliens, carefully guiding them into the mother ship in Alien Round Up, or earn points by lassoing runaway toys in Toy Lasso. Play as Jessie or Woody and race Bullseye around barrels at top speed in Barrel Racing. Players can even customize and download a favorite character screen saver. At each level you'll earn Critter Awards for your achievements and earn an Honorary Deputy Badge in all events. Platform: Unite with Buzz Lightyear and his intergalactic crew for the ultimate mission: saving the universe. This CD-ROM lets galaxy warriors wander through 14action-packed levels and seven intergalactic worlds. Players take on the role of Buzz Lightyear and come face to face with the evil Emperor Zurg. Joining Buzz Lightyear on his mission of intergalactic good is a team of rookie Space Rangers: Booster, who's just a bit too gung-ho; Mira Nova, with her cool way of "ghosting" through the world; and XR, a wise-cracking, gadget-filled robot. Buzz Lightyear's worlds are brought to vivid, animated life. The colorful settings (seven in all) include Jo-Ad--covered in rolling green fields grazed upon by giant purple alien cattle--and Trade World, a futuristic urban environment where everything is for sale, thugs abound, and justice is sold to the highest bidder. Spooky Canis is lit only by a tiny neutron star, blanketed in perpetual darkness, and host to undead robots and werebots. Then there's Flamar. Located near a huge flaming sun, most of this world is a molten surface studded with volcanoes spewing explosive lava bombs. Players collect credits by blasting Zurg's minions and running over coins. Power-ups cost credits but make Buzz Lightyear even more powerful with key accessories, including the jet pack, jet bike, hoverboard, and teleport. Once levels are successfully completed, they can be played again in two different bonus modes--time-attack and search-and-rescue. There are 70 medals to earn in total. Only the most stalwart of rangers will succeed. Platform: Rev up your twitch finger--the toys are starring in a fast, furious, and funny game. You'll go one-on-one with the evil Claw, Scud, and the workbench of horrors while you and Woody try to rescue Buzz from the toy-torturing boy next door. You also must rescue the squeeze-toy aliens and ward off mutant toys. You can choose your level of difficulty and save your game from the last completed level--40 hours of wild gaming are included. And, see a new scene not in the movie. Platform: In A Bug's Life Action Game, Hopper and his evil grasshoppers are after the ant colony. You lead an army of warrior bugs--Tuck and Roll, Rosie, Heimlich, and the Acrobats--to save the queen and colony. Collect seeds and berries for ammunition, and climb leaves and mushrooms to reach higher ground--explore this world in all its 3-D glory. A Bug's Life Action Game is never the same world twice. Platform: This super three-game collection for Ages 8 and up includes Who Wants to Be a Millionaire, 3rd Edition, Who Wants to Be a Millionaire Kids Edition, and Who Wants to Be a Millionaire Sports Edition. Play alone, with a friend, or get the whole family involved! Platform: Who Wants to Be a Millionaire: Kids Edition CD-ROM allows kids to experience the thrills and excitement of the hit TV show with a kid-centric twist, featuring hundreds of questions on topics such as boy bands, pop divas, cartoons, extreme sports, and movies. Delving deep into the world of popular culture as seen through the eyes of a 10-year-old, it's the Millionaire game you have to be a kid to win. Platform: Join Disney's favorite comic cohorts in a cavalcade of addictive arcade action that will test your mettle and split your sides. Platform: Disney's The Emperor's New Groove: Groove Center picks up wherethe zaniness of the Disney animated film The Emperor's New Groove leaves off. Featuring an entertaining mix of groovin' activities, thetitle's four fun games include multilevel arcade gameplay, creativity andlogic adventures, and much more. Players can become an Incan chief to helptheir village flourish, create an animated loom to make clothes, and more. Anonline component even lets players sow seeds, reap a harvest, and add totheir farm by trading online, all of which keeps the fun grooving. Platform: Experience adventure, fun, and challenge in Disney's The Emperor's New Groove Action Game. This is the action-packed game starring all your favorite characters from the Disney film. Run, jump, and dodge your way through all kinds of adventure. Sharpen your skills and get the royal treatment with hidden secrets. The game has high-resolution 3-D graphics and immersive sound fit for an emperor. Plus, get all the hijinks, laughs, and attitude of Disney's The Emperor's New Groove movie. Platform: At the end of the movie, Jim becomes a respected member of society, and something else happenes. He joines the Training Academy. Now you can see how it is where he is, and hopefully have a little fun, too, with the Treasure Planet Training Academy CD-ROMs. In Treasure Planet, the movie has a climatic ending when the crew is racing on the ship to make it to the Doors of 1,000 Worlds before Treasure Planet blows up! Now you can re-live those moments in this game. You are racing a ship representing the planet of Montressor, against five others. You need to pick up power-ups, take short-cuts, and overall be as fast as you can to win the race. By Disney Interactive Take the helm of the most powerful fleet in the universe -- the Royal Navy. In this real-time strategy game you must use your wits and courage in an all-out battle against alien enemies. Features a single player story-driven game that takes you beyond the movie as well as online multiplayer combat where you can play against three other players! Platform: It's after school and there's so much to talk about with your girlfriends! Get connected with Disney's Girlfriends and enjoy an instant messenger, e-mail, making Web pages, fortunetelling, and friends' profiles, in a safe and contained online environment. There are nine activities in all, hostedby Disney's modern princesses Jasmine, Belle, and Ariel.